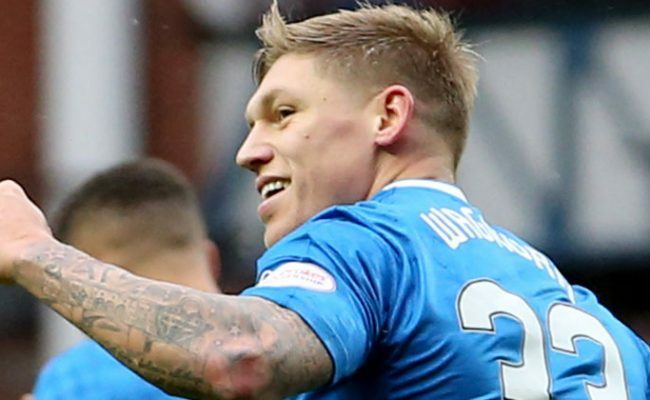 RANGERS moved 15 points clear at the top of the Championship table after they battled back from being a goal down to claim an excellent victory over Morton at Ibrox. Both teams played their part in making this an entertaining Friday night fixture for fans to enjoy, and it was Jim Duffy’s men who took the lead against the run of play on 22 minutes when Denny Johnstone rolled the ball into the net after Wes Foderingham had palmed away a powerful Bobby Barr shot. Thankfully, Kenny Miller was in top form this evening – as he has been for most of this campaign – and his excellent goals in the 43rd and 48th minutes put Rangers in the driving seat at a crucial point in the contest. From there the league leaders were superb as they shifted through the gears with Lee Wallace quite simply sensational from start to finish. The club’s inspirational captain again ran his heart out this evening and he got his reward before the hour mark when he received the ball from Barrie McKay and from 18 yards he curled a majestic finish high beyond Derek Gaston in Morton’s goal. After an impeccably observed minute of silence for former Rangers keeper Billy Ritchie – who sadly passed away today – it was Morton who got the game underway as the rain fell on the sodden Ibrox turf. Not surprisingly it was the red-hot Harry Forrester who had the first attempt on goal. His curling 20-yard effort from a central position was on target but Gaston was there to make a confident early stop. It was a positive start from the league leaders though and in the next attack of note the overlapping Wallace cut a cross back for Jason Holt but his cheeky flick floated agonisingly wide in front of the Broomloan Stand. With 10 minutes on the clock it was McKay’s turn to apply some pressure on his former club – the 21-year-old cut inside his marker Stefan McCluskey but didn’t quite have enough curl and dip on his effort to find the opposite top corner. 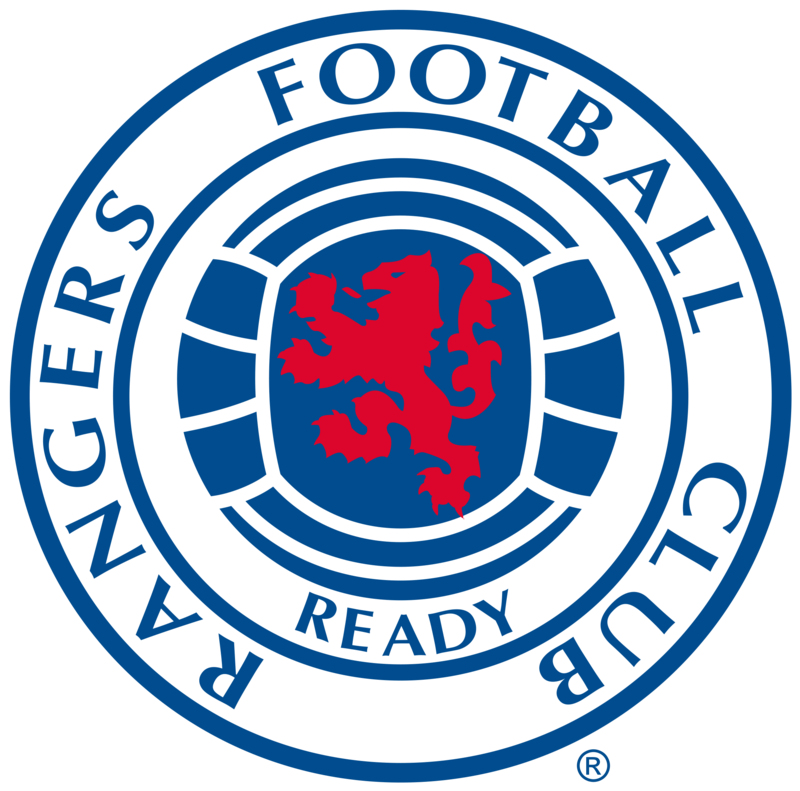 Rangers were again playing delightful football in the early stages and after Holt and Forrester had combined the ball found its way through to Miller who hesitated slightly before hitting his shot which was deflected away from Gaston’s near post. Remarkably, it was Morton who took the lead on 22 minutes to stun the Ibrox faithful into silence. Bobby Barr did all the hard work when he produced a darting run and shot which Foderingham could only parry out to the unmarked Denny Johnstone who guided the ball somewhat nervously into the net. With a one-goal lead in place it was now up to Rangers to get back on level terms against a well-organised and disciplined Morton side which had Declan McManus sitting in the hole between their midfield and lone striker Johnstone. When Rangers attacked he simply drifted back to provide added cover and when the visitors countered he was first up to assist Ton’s powerful number nine. After a confident start to the game, the Light Blues were in need of a moment of magic to get fans going again and a couple of minutes before the break it was Miller who provided it. A great corner from James Tavernier in front of the away support was perfect for the former Scotland star who jumped into the air before producing a stunning downward header which bounced across Gaston and into the far corner of the net. It was a top class finish from a top class player and it couldn’t have come at a better time with ref Nick Walsh blowing his whistle for half-time not long after fans had sat back down in their seats. 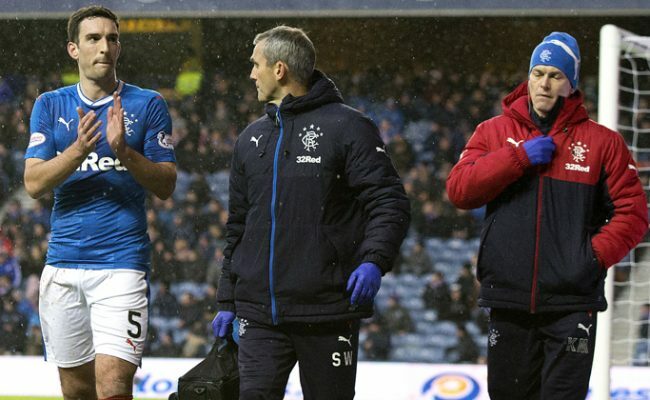 For the start of the second half Warburton made the first change to his team with Dean Shiels replacing Forrester who had a stomach bug. Rangers quickly got back in their groove and within three minutes they were 2-1 in front with Miller again scoring a tremendous goal. Barrie McKay slalomed his way into Morton’s 18-yard box from the left flank but it was one of the visitor’s defenders who prodded the ball inside to Holt. He fed it on to Miller who swerved a left-foot shot high beyond Gaston before celebrating in style in front of the ecstatic Copland bears. Warburton’s wonderers were now in full flow and on 56 minutes Lee Wallace made it 3-1 with another goal from the top drawer. 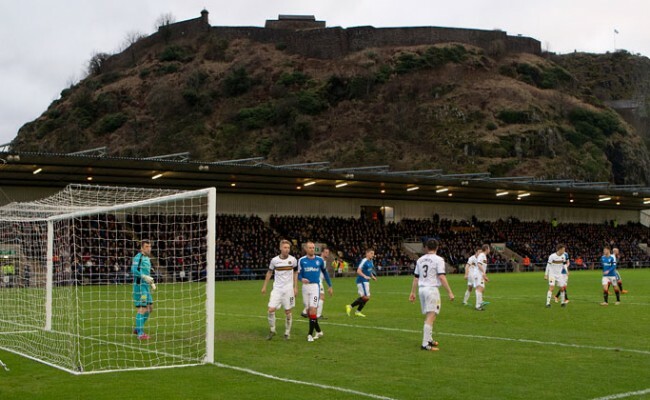 McKay was again involved in the build-up when he played the ball across the 18-yard line to his skipper who had options but he elected to curl a sensational rising shot beyond the Morton keeper at his near post with that cultured left boot. The players in blue now had the opportunity to enjoy themselves and after the hour mark Shiels unleashed a fierce drive which smashed off the underside of the crossbar and hit of the grounded Gaston. Miller fired the ball into the net from close range but the Main Stand linesman had already raised his flag with the striker in an offside position when Shiels let fly. With 13 minutes remaining man of the match Miller, who was struggling with a tight hamstring, was replaced by Clark but by then the job was already done. This was far from a straightforward victory but the 90 minutes again highlighted the desire and determination this Rangers side has to increase their current winning run and edge closer to the title, and they certainly deserved all three points this evening.